All interested alumni are invited to join our small group discussion led by Peter Rose. We meet at a restaurant to share food and opinions. New voices always welcomed. We have been working our way through some of the classics of political theory like Locke, Engels, Hobbes and Machiavelli. 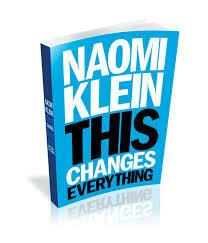 Please contact Lori Nuckolls if you would like to attend to discuss Naomi Klein's book, This Changes Everything, Capitalism vs. the Weather. What is her specific definition of "capitalism"? Do you agree with it? If not, how would you define capitalism? What is Klein's conception of the way meaningful political change comes about? What alleged paths to change does she reject? What is her conception of "ideology"--how does it function? How is it changed? Were you convinced that her sense of urgency is justified? If not, what do you see as the most likely future of the environment? She attempts to foster some sense of hope in her audience: did she succeed in your case?